Helping provide shelter to victims of the devastating flooding in Malaysia was both challenging and rewarding for Nelson man, Jimmy Griffiths. Jimmy recently returned home to New Zealand after a month’s deployment to Malaysia, where he was helping provide shelter to victims of the devastating flooding, which recently hit the country. 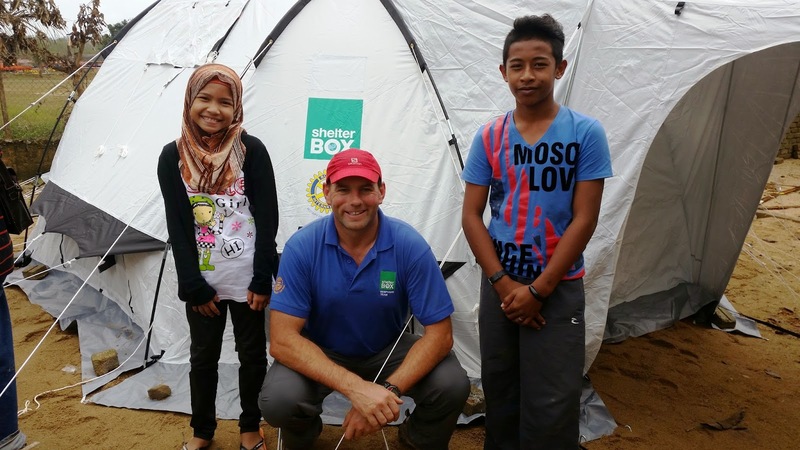 It was his first deployment in a disaster zone for the ShelterBox organisation, which provides emergency shelter and vital supplies to international community’s overwhelmed by disaster and humanitarian crisis. Malaysia suffered its worst flooding in 50 years from December 15 to January 3, with more than 200,000 people displaced, and 21 people killed. Flooding ripped houses from their foundations and left locals facing a mammoth clean-up. Witnessing the destruction was initially overwhelming, Jimmy says. The muck, flood debris and wet ground meant finding a suitable place to erect the tents was a challenge. Jimmy is one of 200 highly trained ShelterBox volunteers who work in disaster zones across the world and who only completed his selection process as a first responder last year. He finished his training in October and had just completed his vaccination programme, when he was asked to travel to Malaysia. Jimmy said despite the training being fresh in his mind, the reality of doing the job on the ground was naturally different. Some of the challenges included the extreme heat and humidity, language differences and working with local customs and politics and sometimes having to eat sketchy food. To cope with the enormity of the situation he quickly became ‘‘task focussed’’. ‘‘I looked at it that each tent I didn’t put up that day meant a family would be sleeping in the open. Giving them a tent gave them privacy, dignity and a chance to start rebuilding their lives,’’ he said.